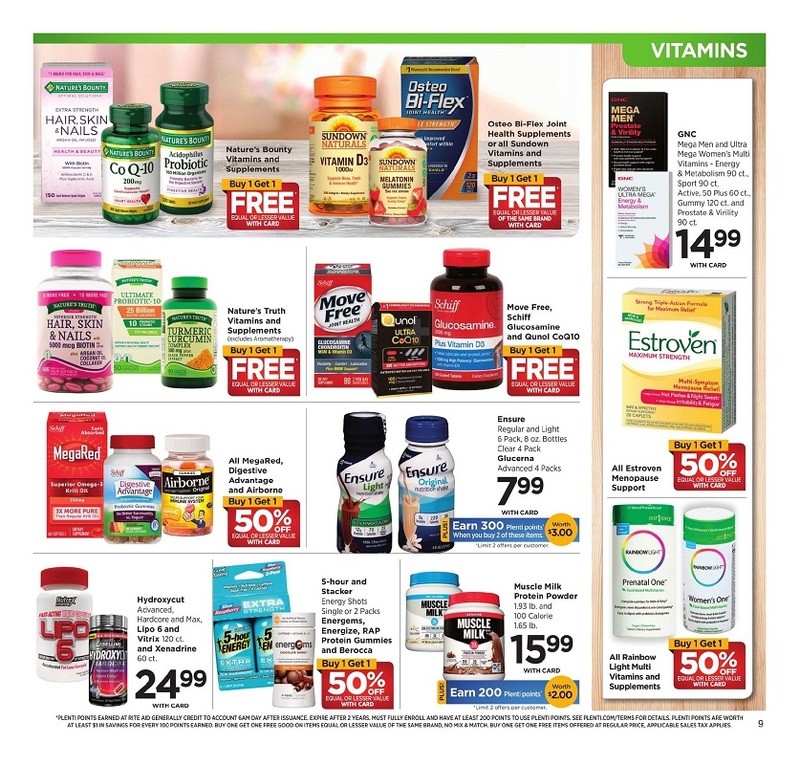 Rite Aid weekly ad circular offers Quaker and kashi cereal or bars 4 - 8 pack or post and Cascadian farm cereal. Planter peanuts 10-16 oz. Cheez-it 9 - 12.4 oz and 6 ct. Wonderful pistachios 7-8 oz. Doritos, Lay's kettle chips, sun chips or Hershey's snack mix 5.9 - 6.8 oz. Sugar wafers 11 oz. Snack crackers 5.5 - 16 oz. Microwave popcorn 3 pack. Coffee-mate creamer 35.3 oz. Folgers or cafe bustelo instant coffee 7.05-8 oz. 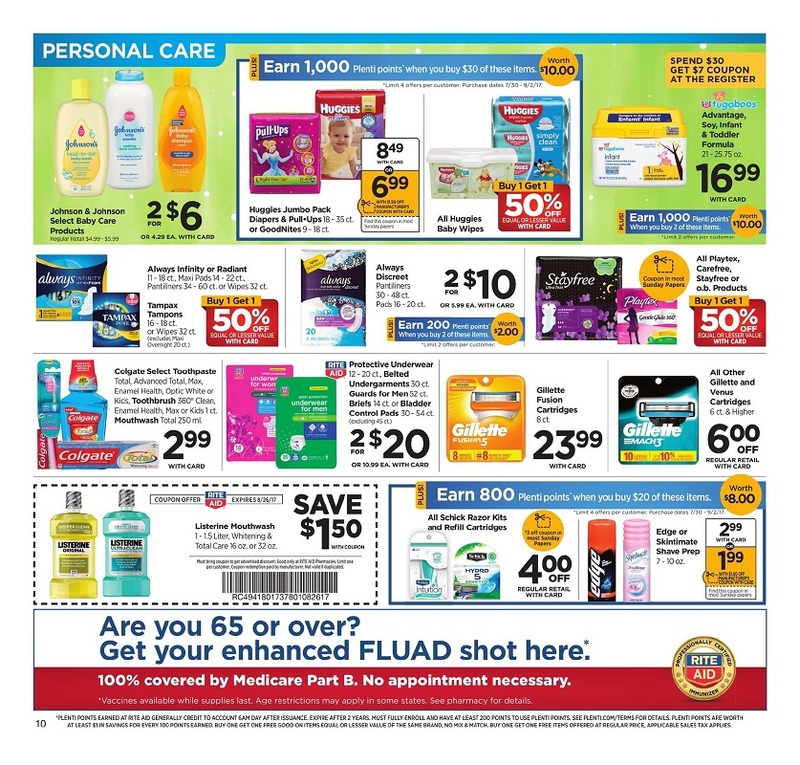 Household essentials products is available at Rite Aid! Get Charmin 4 pack Bounty paper towels 2 pack or Napkins 200 ct. Paper towels 8 ct. Bath tissue 1000 sheets 12 ct. Xtra laundry detergent 68.75-75 oz. Downy fabric softener Dryer sheets 80 ct. or liquid 34 or 64 oz. Clorox Bleach 64 oz., Toilet bowl cleaner 24 oz. Green works liquid 32 oz. or clorox wipes 35 ct. Pine sol 24-28 oz. Tilex 16-32 oz., Palmolive 20 oz or scotchbrite sponge 3 pack. 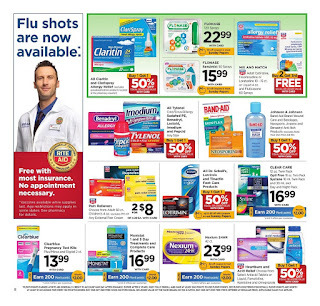 Here are Rite Aid ad this week! See Health products such as Flonase sensimist 60 sprays, or 120 sprays. Loratadine 10-15 ct. or liquid 4 oz. And Fluticasone 60 sprays. Pain relievers children's 4 oz. Clear care 12 oz. Twin pack systane 10 ml. Twin pack and 30 ml. and day and night pack. Hearburn and acid relief, choose from select Antacid tablets or liquid, famotidine, ranitidine and omeprazole. 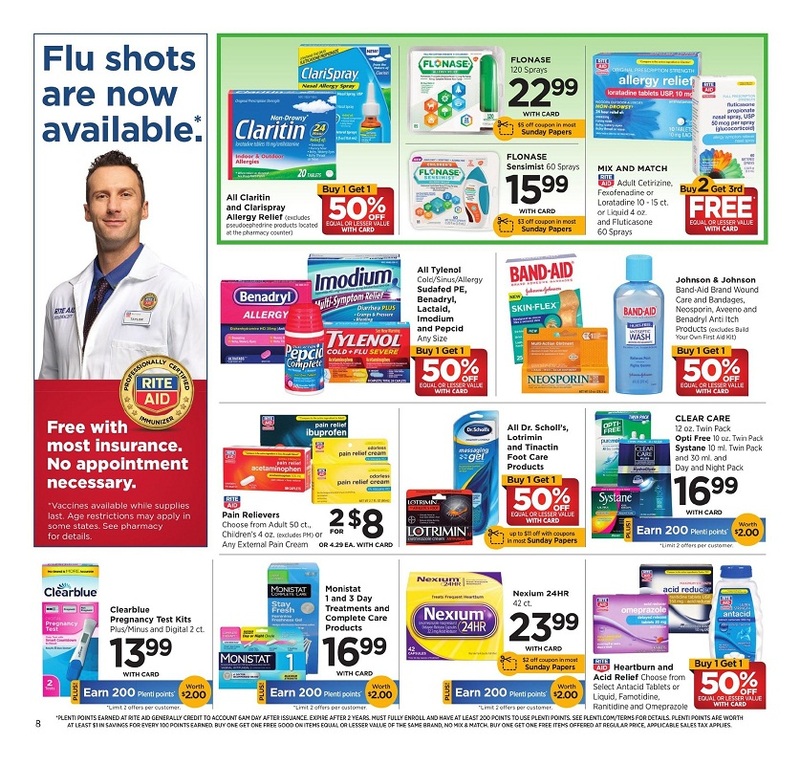 Nexium 24HR 42 ct. Clearblue pregnancy test kits, plus/minus and digital 2 ct.
Don't forget to see personal care products for more saving this week! Huggies jumbo pack diapers & pull ups 18-35 ct. or goodnites 9-18 ct. Advantage soy, infant & toodles formula 21-25.75 oz. Always discreet pantiliners 30-48 ct. pads 16-20 ct. Always infinity or radiant 11-18 ct., Maxi pads 14-22 ct., pantiliners 34-60 ct. or wipes 32 ct. Protective underwear 12-20 ct., belted undergarments 30 ct. guards for men 52 ct. Briefs 14 ct. or Bladder control pads 30-54 ct.
Gillette fusion cartridges 8 ct. Edge or skintimate shave prep 7-10 oz. 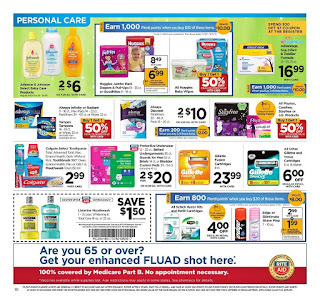 View the full ad, plus more deals every day at RiteAid.com official website. 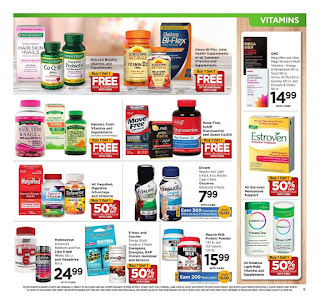 Always check this page for the latest Rite Aid weekly ad circular this week!